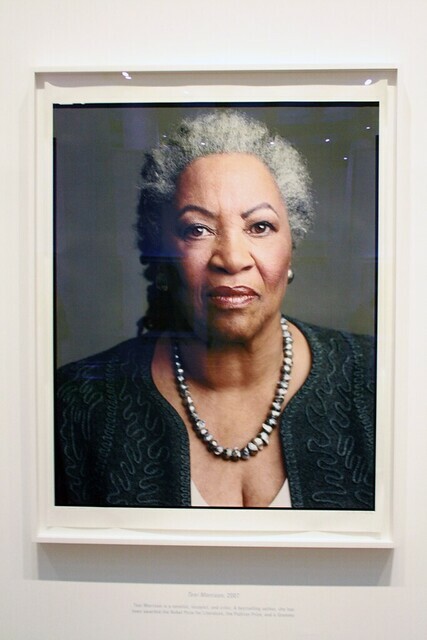 Toni Morrison is an award-winning American novelist. The Bluest Eye is among her best-known novels. Her novels are known for their epic themes and richly detailed black characters. She provides readers with realistic depictions of the African American experience while showing how strong a hold the past holds on the present. Some of her novels, such as Beloved and Song of Solomon, are characterized by magical or supernatural occurrences. Her work also addresses the role of racial and gender discrimination in contemporary society. Her literature maintains a close connection to both oral and literary African American traditions. Born Chloe Ardelia Wofford in Lorain, Ohio, on February 18, 1931, Morrison took the saint’s name Anthony as her middle name when she converted to Catholicism. Her middle name was shortened to Toni later. She was the second of four children. Her family had endured economic and social adversity. Her maternal grandparents were sharecroppers in Greenville, Alabama who had lost their land at the turn of the century. In 1912, her grandparents went north to get away from their debt of sharecropping and fear of racism. They went to Kentucky, where her grandfather worked in a coal mine and her grandmother served as a laundress. However, they decided to leave in search of a better education for their children after they found out that their daughters had taught their white teacher how to do long division. Morrison studied English at Howard University (B.A., 1953) and later went to Cornell University (M.A., 1955). Her thesis examined the role of suicide in the fiction of Virginia Woolf and William Faulkner. After teaching at Texas Southern University for two years, she returned to Howard University and taught there from 1957 to 1964. She met and married the Jamaican architect Harold Morrison, who was also a faculty member at Howard University, in 1958. They got a divorce in 1964. Around that time, Morrison began working on her first novel, The Bluest Eye (1970). She left her job at Howard University and served as an editor at Random House, where she encouraged other African American female writers. Toni Morrison’s writing has gained worldwide praise. She won the Nobel Prize in literature in 1993. Her novel, Beloved, won the Pulitzer Prize for fiction in 1998. In 2006, The New York Times asked several hundred well-known writers, critics, editors, and other knowledgeable parties to identify “the single best work of American fiction published in the last 25 years.” Beloved was at the top of that list. The Library of Congress named her a Living Legend in 2000. Morrison continued to write, receiving critical praise, literary awards, and a growing readership. Her fifth novel, Beloved, won her the Pulitzer Prize. She taught as the Robert F. Goheen Professor in the Humanities Emeritus at Princeton University from 1989 until she retired in 2006. She was awarded with the Presidential Medal of Freedom in 2012. Heinze, Denise, and Sandra Adell. “Toni Morrison.” In Nobel Prize Laureates in Literature, Part 3. Dictionary of Literary Biography Vol. 331. Detroit: Gale, 2007. Literature Resource Center (accessed March 20, 2018). http://link.galegroup.com.proxy177.nclive.org/apps/doc/H1200013195/GLS?u=ashv45734&sid=GLS&xid=9c3b0aca. Puchner, Martin, et al. The Norton Anthology of Western Literature. 9th ed., vol. 2, W.W. Norton & Company, 2014. “Toni Morrison – Fiction Prize | Library of Congress.” The Library of Congress, www.loc.gov/about/awards-and-honors/fiction-prize/toni-morrison/.